As we attempt in this essay to address the subject of “Whither Oh Egypt?” and to commence the effort to answer the above, as well as other questions, we hasten to recognize that both the Qur’ān and the Ahadīth of the blessed Prophet have delivered information and guidance concerning the subject of strategic affairs in the context of the process of history. However there is a specific methodology which must be used to so penetrate the Qur’ān and Ahadīth that they might explain today’s mysterious world of ominous global change and reveal what role, if any, Egypt is destined to play at the end of history. We have made an attempt to explain that methodology in our book entitled ‘An Islamic View of Gog and Magog in the Modern World’. 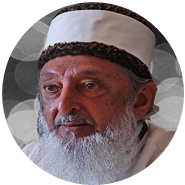 (Readers may kindly note that many of my books, including the above book, have been translated to Arabic and are available for free download from my website: www.imranhosein.org). We plan to revisit that subject of methodology in a subsequent essay Insha Allah, in the context of a comparison with Salafi Islamic scholarship’s rival methodology. I also anticipated, in a lecture delivered in Sydney, Australia in September 2002 (“Beyond September 11th 2001: What does the Future hold in store for Muslims?”), the Arab uprisings that would topple Arab regimes with a domino effect.The uprisings took the world by surprise some ten years later – much later in fact, than I had expected. I was able to intuitively grasp – within hours of the 9/11 attack on America – that the Israeli Mossad and American CIA had jointly planned and executed that false-flag act of terrorism so that it might perform the same function as the act of terrorism in the summer of 1914 (i.e., the assassination of the Arch Duke Franz Ferdinand in Sarajevo) which spawned great wars. Those wars resulted in USA replacing Britain as the ruling State in the world, and the plan was that history would repeat itself in the wars which would flow from the 9/11terrorist attack so that Israel might replace USA as the ruling State in the world. An Israeli attack on Iran and/or Pakistan will do precisely that. It will spawn great wars that would eventually so trap and weaken USA that a transition to another ruling State in the world could be accomplished. The test of Truth is that it must deliver a valid explanation of reality – strategic and otherwise – at different stages in the movement of history. My methodology is Alhamdu lillah working, and critics should know that trees will be judged by the fruit that they produce. This essay argues that only the Qur’ān and the Ahadīth of the blessed Prophet can explain the reality of the world today – its political and economic reality, the reality of money, the ominously emerging global society, war on Islam, oppression of Muslims, and most of all a Zionist State of Israel obsessed with a messianic mission of replacing USA as the ruling State in the world while imposing its political, economic and religious dominion over the Arabs as well as the rest of mankind. This essay presents evidence with which to make the claim that mankind now lives in Ākhir al-Zamān (the last age) and that the key to understanding today’s ominous reality is located in Islamic Eschatology (‘Ilmu Ākhir al-Zamān). Despite that claim, this writer views eastern Christian eschatological scholarship with great respect. It is a historical fact that Jews were expelled from the Holy Land 2000 years ago, and could not return for all of those 2000 years to reclaim the Holy Land as their own. For more than a thousand years of that exile the Jews found a secure home in the world of Islam while Europe in particular, continuously oppressed them. The strangest and most mysterious of all events to have occurred in history has been the return of the Jews, after 2000 years of scattered exile, to reclaim the Holy Land as their own. The same Europe which had continuously oppressed them – was now responsible for bringing them back to the Holy Land. A brand new actor in history, the non-Semitic European Jew, played a decisive role in that momentous return. The European Jews installed themselves as oppressors who now oppressed in the Holy Land the very Muslims who had provided the Semitic Jews with a secure home in Dār al-Islām through more than a thousand years of Jewish exile. This essay asks the question: was all of this an accident of history or is there an explanation for this mysterious blood-stained Jewish return to the Holy Land? Since the Qur’ān was sent down to explain all things, what explanation is there in the Qur’ān which explains this mysterious return? The European Judeo-Christian Zionist Alliance was responsible for ‘liberating’ the Holy Land for the Jews. They brought the Jews back to reclaim the Holy Land as their own. They restored a State of Israel in the Holy Land, and then caused that Israel to grow in power to now stand poised to rule the world. Muslims violated Allah’s command in the Qur’ān when they entered into friendship and alliance with the European Judeo-Christian Zionist alliance. They did so when, for example, they became members of the United Nations Organization, the International Monetary Fund, the World Bank, etc., that was created by that Judeo-Christian alliance. Research needs to be done to determine the role played by the Zionists in getting the Ottoman Islamic Empire to enter the 1st World War against the wishes of the Ottoman Sultan and of the many Muslim peoples who constituted the Ottoman State. Once the Caliphate was dismantled the Zionists then embraced the entire world of Islam in a system of republican and secular States that was eventually made subservient to the United Nations Organization. The Qur’ān prohibits Muslims from maintaining friendly ties and becoming allies of the Judeo-Christian alliance – hence the invalidity of Egypt’s 1979 peace treaty with Israel.